Enjoy your yoga practice under the blue sky of Lisbon. Join us at one of our regular, weekly yoga classes on a rooftop terrace or maybe for a pop-up event in the heart of the city. A great way to unwind and relax, take in the peacefulness of simply being outside, and restore the body-mind balance. ​Everyone is welcome! Come and celebrate with us a variety of yoga practices under the blue sky on the spacious terrace of This is Lisbon Hostel. 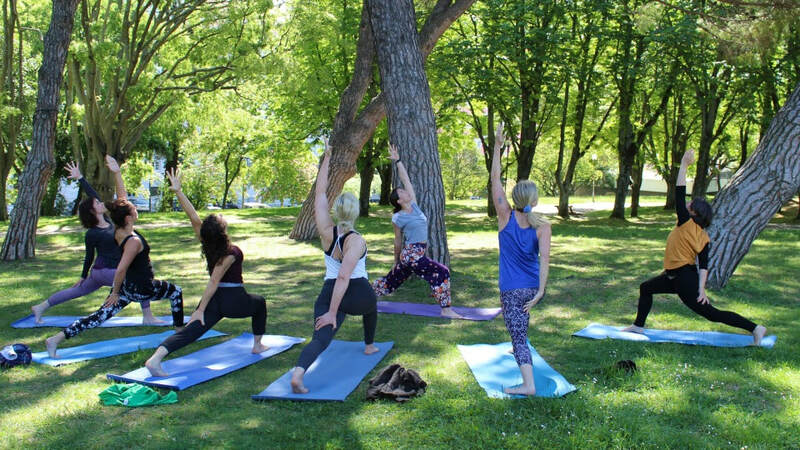 You can enjoy the great view of the city while immersing yourself in dynamic and gentle yoga, a Thai Yoga massage introduction and enjoying a yummy healthy brunch and lots of good vibes! Come alone or bring a friend. 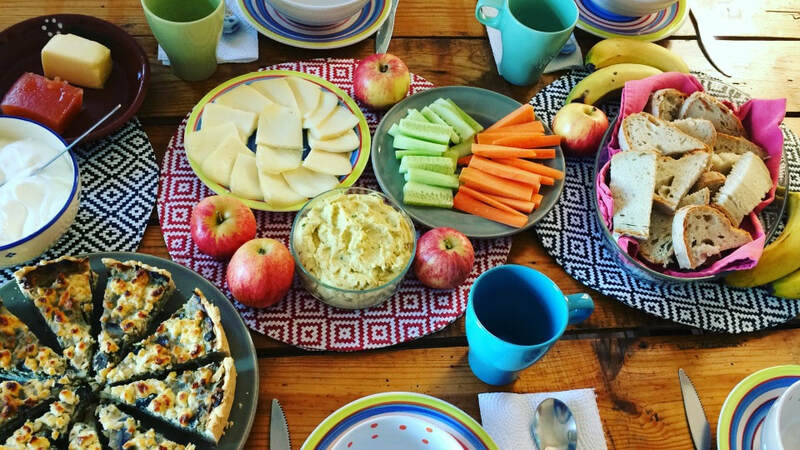 ​Book a private Yoga class & Brunch with us! ​In the heart of the ﻿historical﻿ neighbourhood just below the castle, enjoy your yoga practice in a relaxed atmosphere. Enjoy a stunning scenery in the historic part of Lisbon and while practicing yoga with the best view over the river Tejo. ​Not strictly a rooftop, but still under the gorgeous blue sky of Lisbon. Connect with nature around you in the shade of the trees in Parque Eduardo. Our new Rooftop location at Atico Rooftop in Avenida boost a great view all the way downhill and is only a short walk from downtown (Baixa). Treat yourself with a delicious breakfast at NH Collection Avenida. ​To find out about when and where to enjoy yoga on one of Lisbon's great rooftop terraces, join our mailing list.